In August 1944, a few hundred men defended a hill near Mortain, France, against a massive German counterattack. For most of six days and nights of fighting, the Americans were cut off from supply lines, fighting for survival without adequate food, water, medical supplies, or ammunition. The decisive artillery defense, much of which was launched by forward observer Robert Weiss, has been credited with making the difference in this pivotal battle of the Normandy invasion. 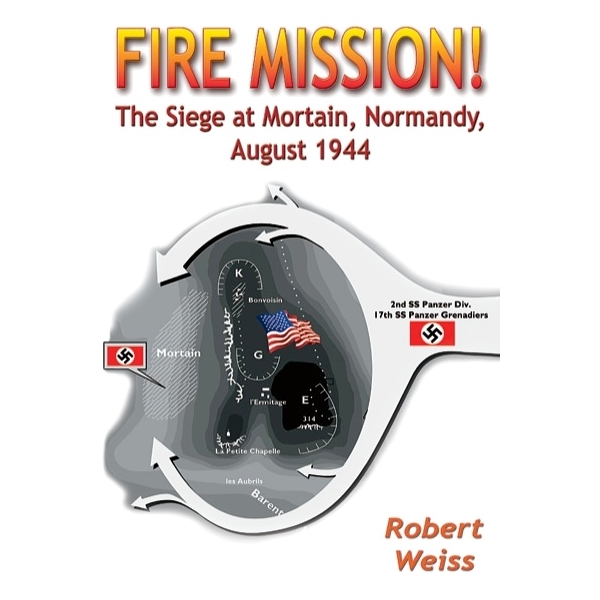 With only one radio, powered by dying batteries, Weiss and his team brought down a rain of brutal iron that time after time turned back the German offensive. Telling a detailed, accurate and yet highly personal story, it confirms that the individual can make a difference in large events. ...Event after event unfolds to envelop the reader in the high drama of warfare. Moments of courage and despair, heroism and terror, are interspersed with thoughtful contemplation and historical perspective rarely matched in the military annals of the Normandy invasion. Highly recommended. ...The book is a masterpiece; it is beautifully written. Never have I understood the events as I now do, and unlike most pieces of military history, it evokes emotion. ...once I got started I could hardly put it down...It’s a great read and you should be commended for the accomplishment. ...I found myself holding my breath much of the time and trying to read on faster than was comfortable for me because the writing is so well done that I just wanted to keep going.